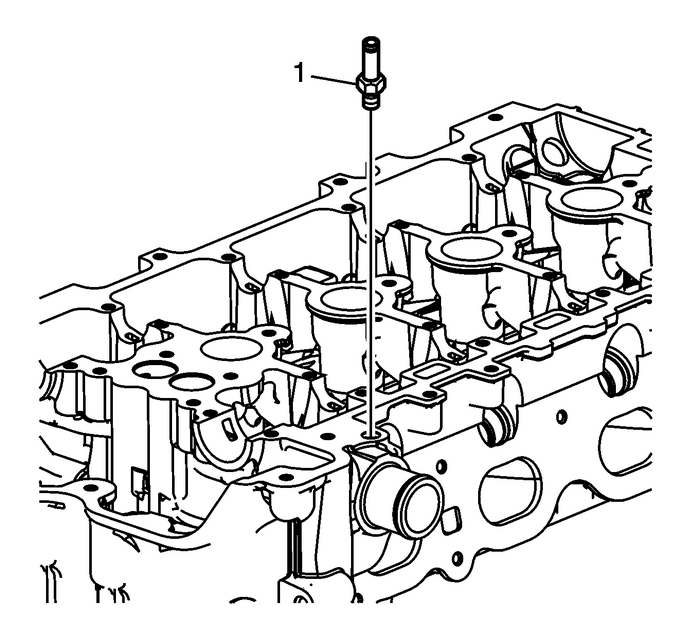 Remove the coolant air bleed hosefitting-(1). 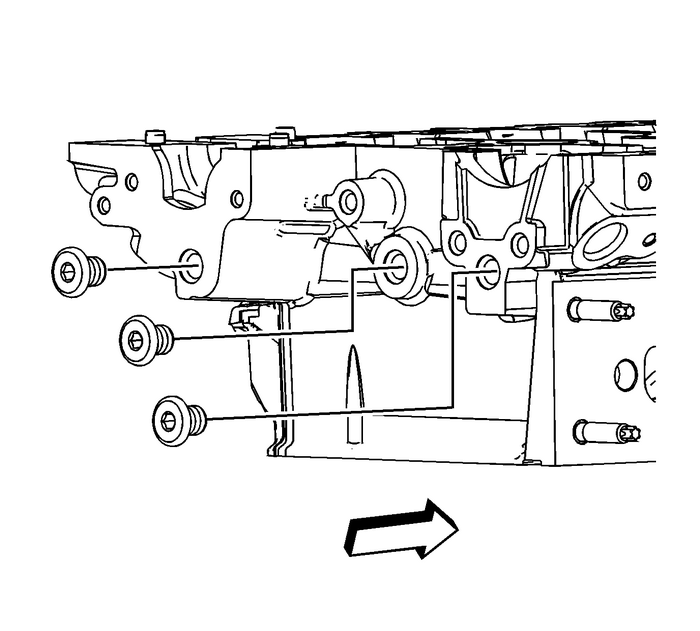 Remove the intake camshaft position sensor-(1) andbolt. 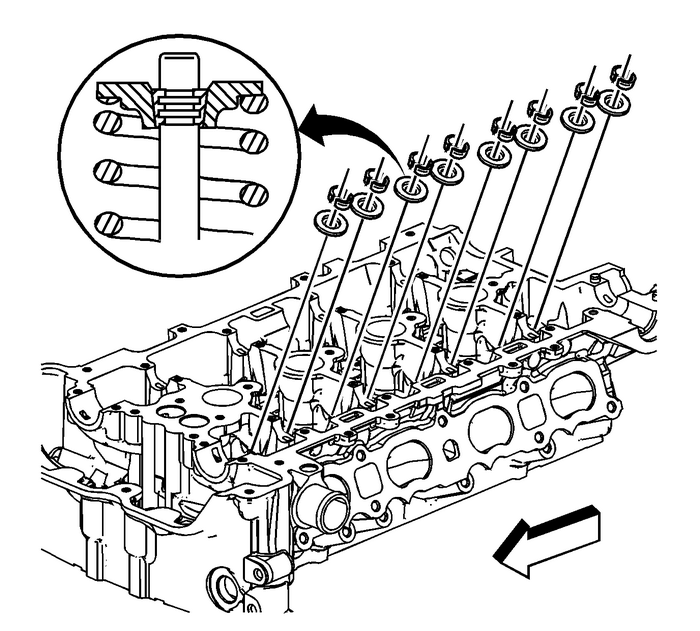 Warning:Compressed valve springs have high tension against the valvespring compressor. 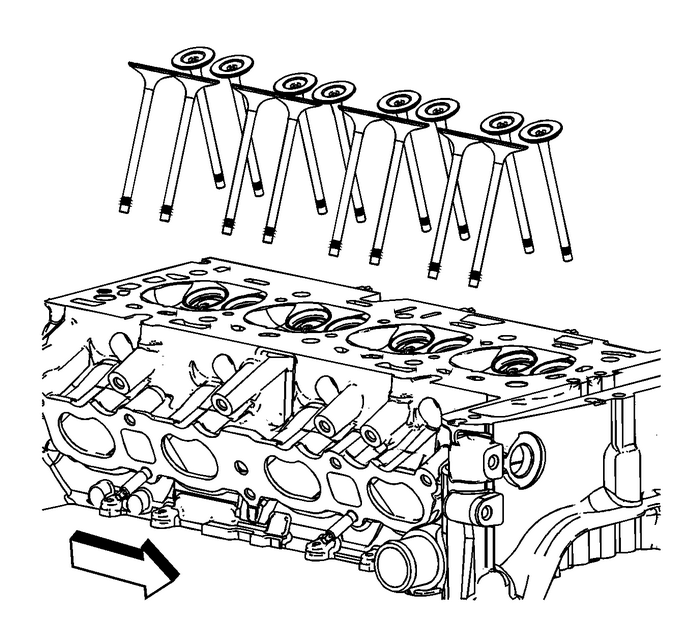 Valve springs that are not properly compressedby or released from the valve spring compressor can be ejected fromthe valve spring compressor with intense force. Use care whencompressing or releasing the valve spring with the valve springcompressor and when removing or installing the valve stem keys.Failing to use care may cause personal injury. 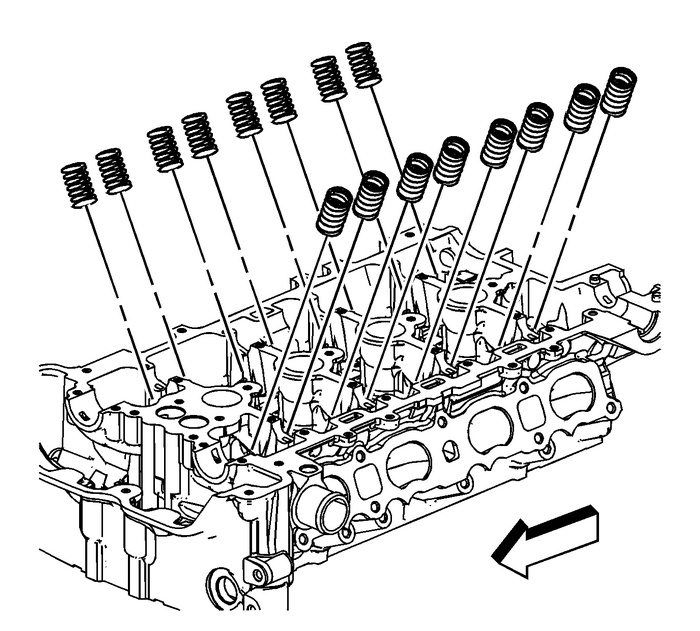 Caution:Do not compress the valve springs to less than24.0-mm (0.943-in). 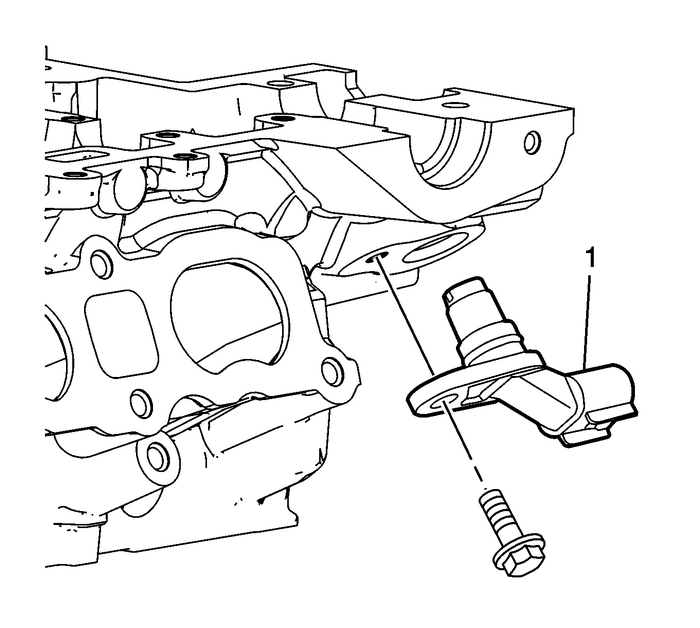 Contact between the valvespring retainer and the valve stem oil seal can cause potentialvalve stem oil seal damage. Note:Ensure that the valve train components are kept together andidentified in order for proper installation in their originalposition. 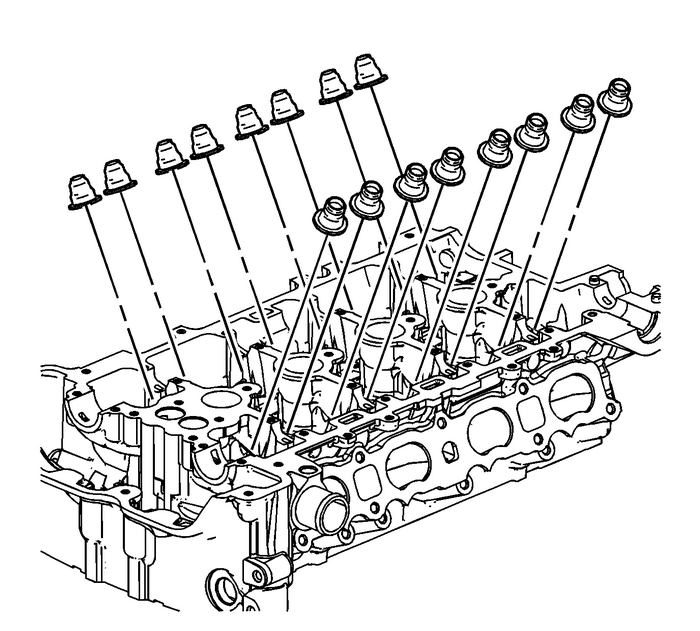 Perform the following procedure to remove the valve keys,springs, and retainers:Using theEN-8062compressorand theEN-43963compressor, compress the valve spring.Remove the valve keys.Slowly release theEN-8062compressorand theEN-43963compressorfrom the valve spring assembly.Remove the retainer. Caution:Do not damage the valve guide. Remove any burrs that haveformed at the key groove by chamfering the valve stem with an oilstone or a file. UsingEN-36017remover, remove the valve seals. Discard the seals, do notreuse. Remove the cylinder head plugs.